Authorities said they arrested a suspect on Friday in the killing of a Newman (Stanislaus County) police officer, who was shot by a gunman he'd stopped in the Central Valley town on suspicion of drunken driving. 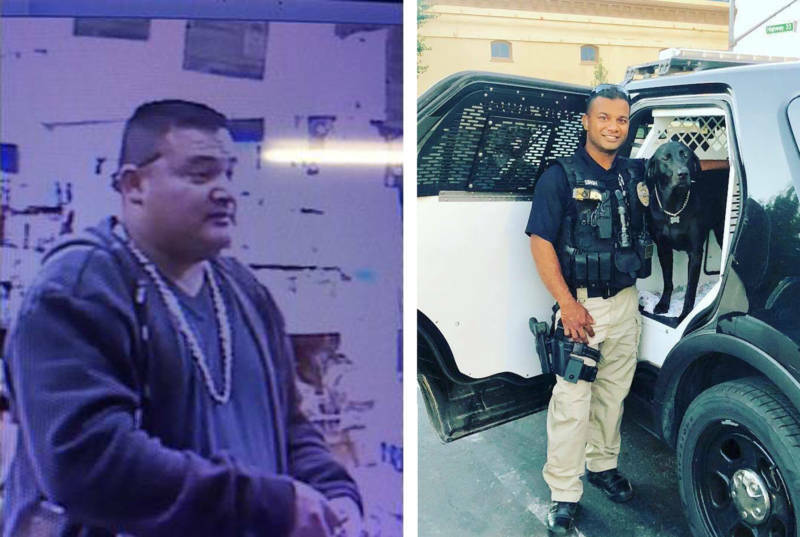 Gustavo Perez Arriaga, 32, was taken into custody on Friday morning in Bakersfield in connection with the murder of police Cpl. Ronil Singh, said Stanislaus County Sheriff Adam Christianson at a press conference. The sheriff said Perez Arriaga was a native of Mexico and had been in the U.S. illegally for several years. Singh, 33, was shot a few minutes after radioing in Wednesday at 12:57 a.m. to say he was pulling over a gray pickup truck with no license plate in Newman, a town of about 10,000 people some 100 miles southeast of San Francisco. Singh, who joined the Newman police force in 2011, fired back to try to defend himself. Singh later died in the hospital, the Associated Press reported. Authorities in Stanislaus and Kern counties also arrested five other people. Arriaga's brother, Adrian Virgen, 25, and co-worker, Erik Razo Quiroz, 27, were arrested by the Stanislaus County Sheriff's Department for misleading investigators, Christianson said. Bernabe Madrigal Castaneda, 59, Erasmo Villegas, 36, and Maria Luisa Moreno, 57 were arrested for being an accessory in Bakersfield, according to Kern County Sheriff Donny Youngblood. Christianson blamed California's sanctuary law for preventing local authorities from reporting Perez Arriaga to federal immigration officials, saying that the policy was putting communities "at risk." Christianson said Perez Arriaga had twice previously been arrested for drunken driving. The suspect was on his way to Mexico and claimed to be a member of the Sureno gang on social media, Christianson said. Youngblood said that the suspect's "immigration status is secondary," but that he does oppose California's sanctuary laws. In May, Christianson joined a group of California officials opposed to sanctuary policies who met with President Trump, according to the Sacramento Bee. Trump tweeted on Thursday about the shooting: "There is right now a full scale manhunt going on in California for an illegal immigrant accused of shooting and killing a police officer during a traffic stop. Time to get tough on Border Security. Build the Wall!" Christianson also spoke out against SB 54 — which prevents local authorities from assisting federal Immigration and Customs Enforcement agents — before it became law. Earlier in his career, Singh, a native of Fiji, worked as a deputy with the Merced County Sheriff's Department, and was with the Turlock Police Department before that. On his Facebook page, Singh posted pictures on Christmas Eve from a deep-sea fishing trip that resulted in a big haul of crabs and fish. His profile picture shows him smiling as he stands at a patrol car with his K-9 partner Sam — the same photograph of the officer released by the Sheriff's Department. Sam, a narcotics dog, was in Singh's vehicle when the shooting occurred. The officer had dressed him as Mrs. Claus. He'll be retired and will live with the Singh family. 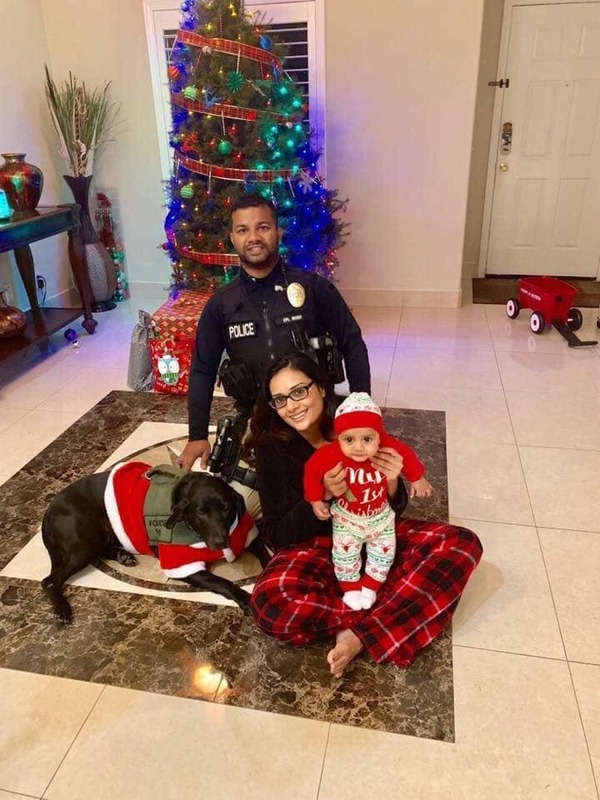 Stanislaus County sheriff's Deputy Royjinder Singh, who is not related to the slain officer, said: "He was living the American Dream. He loved camping, loved hunting, loved fishing, loved his family." Newman Police Chief Randy Richardson fought back tears as he described Singh as an "American patriot" on Thursday. "He came to America with one purpose, and that was to serve this country," Richardson said. Singh drove more than two hours each way to attend the police academy in Yuba City, Richardson said. English was Singh's third language. He had a thick accent but took speech classes to improve his communication, the police chief said. Ronil Singh is survived by his wife, Anamika, and a 5-month-old son, authorities said.